Last year, it was mostly tankers and containers which were the main candidates for ship recycling. 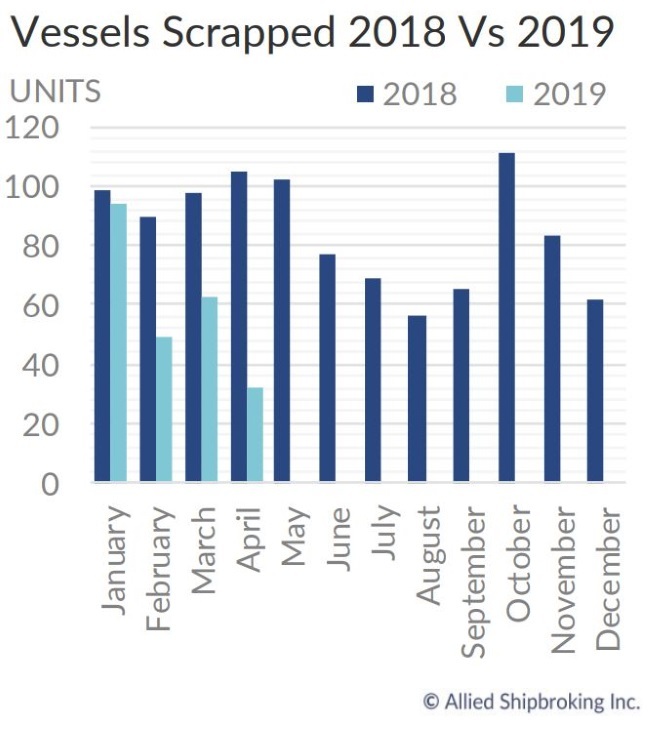 As of late though and amid a growing unease regarding the dry bulk market’s immediate prospects, more and more dry bulkers are being considered for scrapping. In its latest weekly report, shipbroker Clarkson Platou Hellas said that “as we look forward to the annual Grand National horse race this weekend, Bangladesh continues to lead from the front of the recycling runners, maintaining their aggressive and healthy appetite. There seems to be no obstacle in their way with the majority of tonnage still heading for the Chattogram (ex Chittagong) waterfront and as indicated last week, they certainly seem to want to take advantage of their firm domestic steel markets before Ramadan arrives. With global steel markets seemingly healthy for the foreseeable future, the markets look set to remain stable for the time next few months and this may also aide some improved sentiment from both Indian and, perhaps, Pakistan, the latter falling well short of the Bangladeshi odds. Despite the positive numbers on the table, we are still not seeing the deluge of tonnage that could have been expected, and this week has appeared quieter than previous weeks, however there are still reports of private business being transacted which will filter through to the market in weeks to come”. 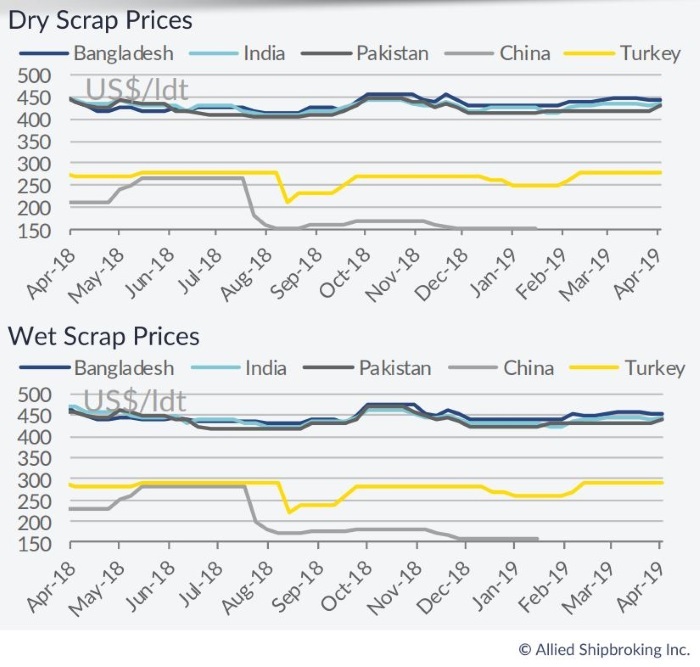 Meanwhile, Allied Shipbroking added that it was “a fairly active week in the demolition market for dry bulk vessels, with pressure from slump in Capesize freight rates finally leading a number of owners to take up the exit option. During this past week we witnessed 4 Capes being sold to the breakers. It is worth mentioning that the majority of them were delivered on “as is” basis. Meanwhile, it is expected that we will see further activity take shape over the following weeks, as squeezed earnings take their toll on some of the older “ladies” still in active service. On the tankers side, things were less active, with few new sales coming to light. With the market prospects holding at slightly better levels, owners are not as keen on any early retirement options on their more vintage units, hoping to reap any extra benefit from a further market rebound that could be noted. With regards to destinations, Bangladesh seems to still hold strong for yet another week. Indian breakers have also continued to remain relatively competitive in their offerings, yet it was Pakistan that proved to be the big surprise this past week, with the recent boom in local steel prices helping breakers in the region close the gap that had accumulated fairly well and looking ever more keen to show renewed appetite for activity”, Allied concluded. In a separate note, GMS, the world’s leading cash buyer said that “with a previously beleaguered Pakistani market starting to return to a firmer footing last week, it seems we may soon have all of the sub-continent markets firing on and keen to buy before the monsoon season sets in towards the end of May. Of course, Bangladesh has been the go-to market for a bulk of the market tonnage (other than HKC SoC green and offshore units) for a majority of the year and the port reports have been highlighting a market that is steadily becoming stuffed with high-profile and large LDT tonnage. So it is, perhaps, only logical to expect that the Chattogram market may be due a welldeserved breather once the monsoon season sets in, as end Buyers continue to run out of space and those that remain, do not have ready L/Cs to import the larger LDT vessels out there. This is why the time may be right for an emerging and improving Pakistani market to secure its share of tonnage and jump back into the buying, after a sluggish period of over 6 months on the sidelines. Finally, the Turkish market continues its ambiguous performance as despite its jumpy fundamentals and surprisingly steady levels, not many units have reportedly been fixed to local Recyclers. 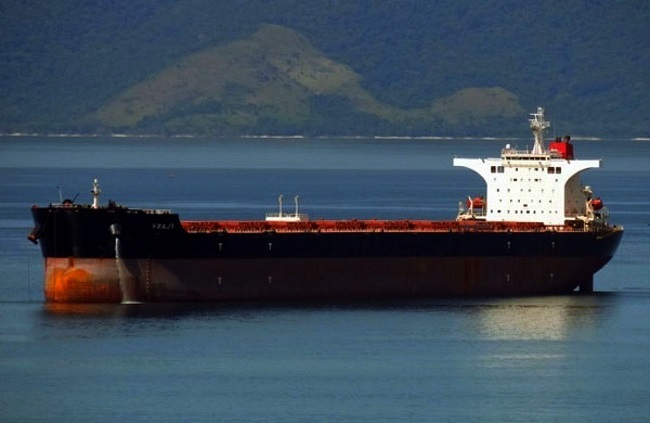 On the supply side, there still are plenty of decent LDT Capesize bulkers and VLOCs to focus on, given that charter rates continue to struggle and supply is expected to remain steady, even through the traditionally quieter monsoon / summer months”, GMS concluded.